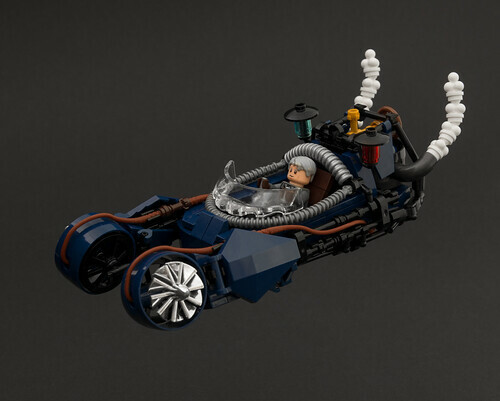 I have a feeling there is soon going to be a large spike in LEGO Blade Runner activity, as seen here with this latest model from Legopard. The Blade Runner cruiser was already cool enough, yet this builder was able to put an even cooler and more unique spin on the vehicle then you would normally seen. This model is just such an awesome mixture of futuristic and steampunk combined!